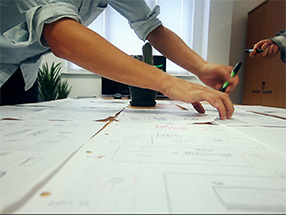 We’re a full service design agency, formed of a collection of creative minds grounded in sound business sense. We believe in providing straightforward, no-nonsense advice. We know you didn't arrive here just because you want a better looking website, annual report or logo - good design is good business, and if you need a partner to help you unlock your brand's potential, then you're in the right place. Based out of Penn, Buckinghamshire & London. From humble beginnings in 1985, we have grown with the times to become a full service creative agency offering web design and development, branding and identity design and printed media design. We are creative people with business sensibilities; our methodical and collaborative approach always leaves our clients impressed.